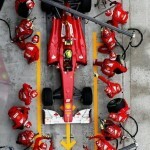 Montreal’s Grand Prix Formula 1 weekend is back with an ever-evolving event schedule to complement the world class circuit. From glitzy magazine parties to prestigious annual F1 festivities, this upcoming week will be filled with amazing DJ line-ups, celebrity hosts, and special culinary menus. This year, the festivities are starting way early, (we’re talking tonight!) and will run from June 5th to 10th inclusively, with an extensive list of over-the-top festivities for world-class guests and local tastemakers. Joverse has always been the city’s cool spot on Tuesday nights. Tonight, their party goes into overdrive, kicking off Grand Prix week with an amazing hip hop lineup; resident DJs Toddy Flores and Marcel Wynn are joined by special guests Andrew Pololos & Evangelos Pavlis. As always, Joverse is presented by Tongue, the visionary behind Ecole Privée. The rest of week continues with an all-star line-up. To book a table, visit their website here. 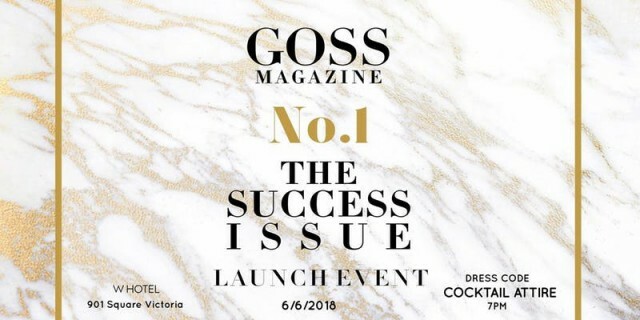 On Wednesday, the GOSS magazine inaugural launch is the place to be. Created by Rebecca Perez, GOSS is Montreal’s first business-oriented women’s magazine. Its premier issue, “The Success Issue,” includes features on many of the city’s top industry professionals. The party takes place at the W hotel with cocktails starting at 7pm, and provides an amazing opportunity on Grand Prix Wednesday to network and mingle with some of the city’s top entrepreneurs, creatives, and corporate leaders. Find more information here and be sure to purchase your tickets in advance as the event is almost sold out. 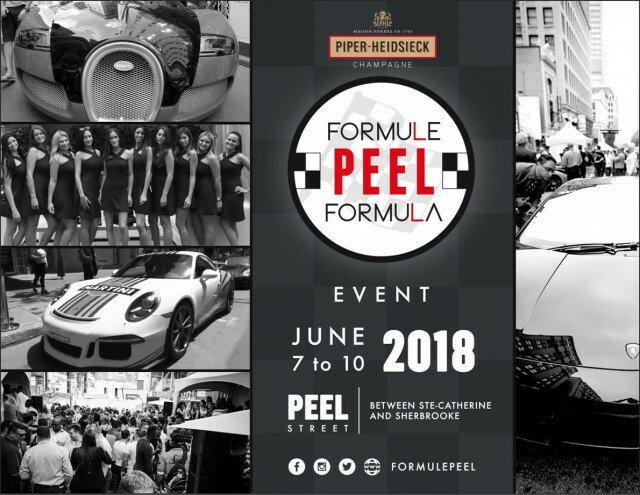 Daytime events commence with Peel street being closed down for the weekend for Formule Peel. Business owners along the street come together to host days filled with fashion, gastronomic surprises, and other entertainment all in the spirit of celebrating Grand Prix weekend. Entry is free but it is advised that you reserve at restaurants in advance, as up to 400k event goers attend each year! 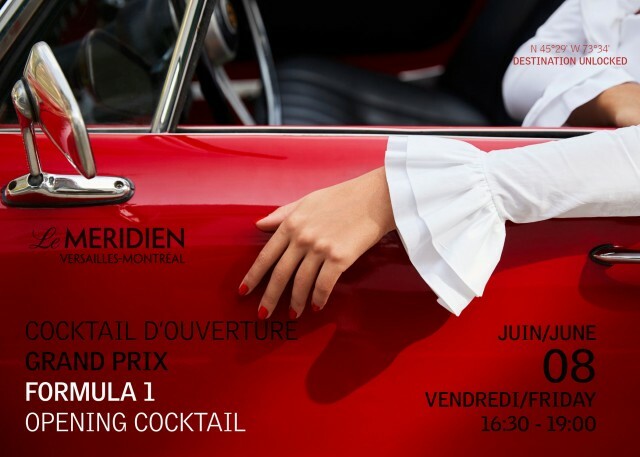 Thursday evening, head over to Soubois for their four-days of Grand Prix celebrations, “R1tuals.” Soubois’ terrasse will be in the heart of all the Grand Prix action on Peel street, open every day from noon until 1am with a decadent menu of raw bar, grills, and a premium wine list. On Thursday, immerse yourself completely in Soubois’ underground enchanted forest concept as the space will be transformed into a modern jungle. 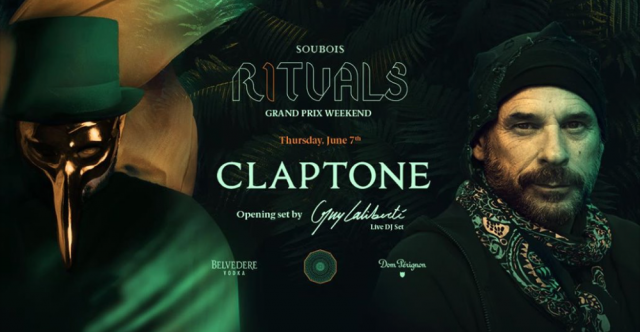 Guy Laliberté, founder of entertainment powerhouse Cirque Du Soleil, and Claptone, the German DJ who has become one of the biggest names in electronic music, headline with special DJ sets. The event is nearly sold out. RSVP in advance as this promises to be an amazing opportunity to network and socialize with international influencers and tastemakers. More information here. Le Méridien-Versailles hotel hosts their annual 5 à 7 cocktail party filled with music, cocktails, hors d’oeuvres. This pre-party will be a stylish one. Come and enjoy tasty cocktails and mingle with fellow young professionals before heading to the night’s events. Arrive as early as 4:30pm. Get ready to dance the night away at the Ritz-Carlton during their ultra-classy evening themed in the vein of the Sahara/Middle Eastern Nights. 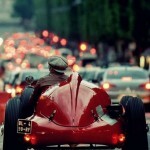 The Ritz is always the prime spot on Grand Prix Friday and one of the largest and prestigious events of the weekend. The party is in collaboration with Aston Martin and includes music by Dj YO-C, as well as a gastro-buffet prepared by the Ritz’s executive chef. This party always sells out. Get your tickets asap to rub elbows with celebs and the city’s finest. Start your day off early with Moët City at New City Gas! This will be a champagne brunch running from noon to 3pm filled with live DJs and a wine list catered by sommelier Lino Lozza. A stellar line up from Hardwell and Nervo to Oliver Helden will keep you on your feet all afternoon. Pre-purchase your tickets here. The VIP culinary pop-up, “Catch-22” is the place to dine and party on Grand Prix Saturday. The rooftop event will feature panoramic 360° views of Quartier des Spectacles and downtown Montreal from the rooftop of the 222 building, located at 1300 St. Dominque St. Catch-22 is set to be a carefully curated culinary experience with chefs Viet & Nam and oyster shucker Daniel Notkin presenting over-the-top raw and grill bars as well as a robust and delicious array of vegetarian options. 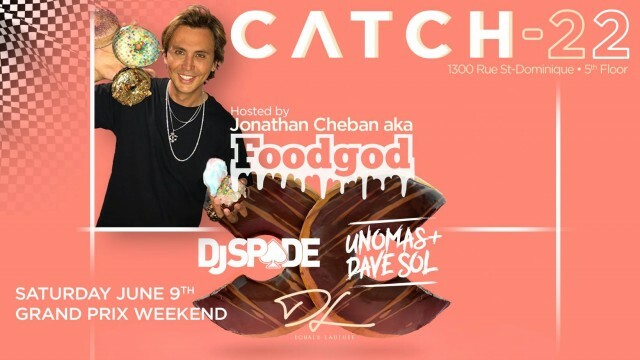 The event will be hosted by Jonathan Cheban, reality TV star and close friend of the Kardashian family, who has built a thriving social media presence ( 2.6 million Instagram followers and counting!) under the name Food God. 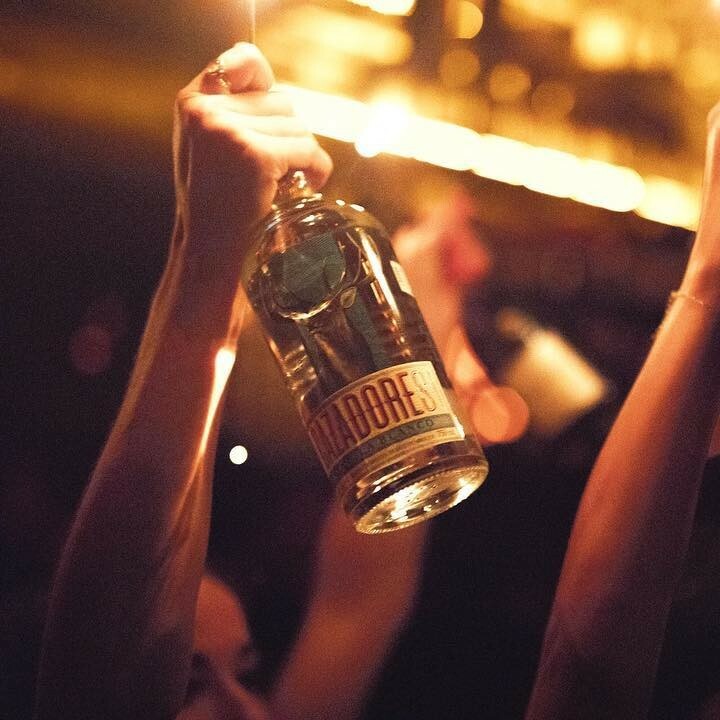 He’ll be mingling with Montreal’s most exclusive crowd from 8pm onwards. Dinner starts at 8:30pm, $125 per person, by reservation only. For dinner and after party reservations: (514) 827-6225, rsvp@soubois.com. 1OAK, the world’s most exclusive, avant-garde nightlife brand and celeb hangout with events in Tokyo, LA, NYC, and Vegas is coming to Montreal and teaming up with Soubois to host the closing party everyone is talking about. The party will be headlined by 1OAK New York’s resident DJ Jus Ske, and Rukus from LA (who regularly plays private parties for fans including his cousin Lenny Kravitz, Kanye West, Naomi Campbell, and Leonardo DiCaprio). Reservations: rsvp@soubois.com. 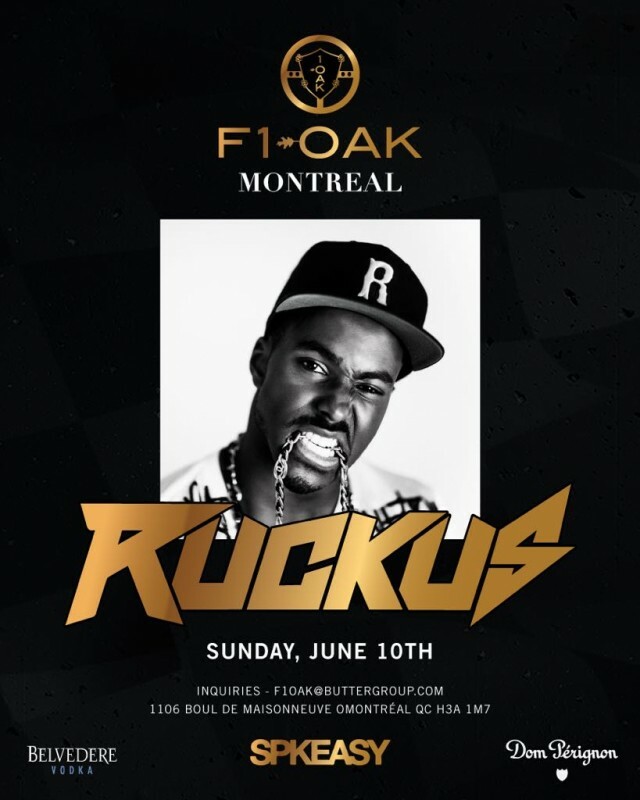 For bottle and VIP access: 514-827-6225. L’Auberge St Gabriel takes on the official after-party spot for the F1 finale celebration night with an astounding line-up and guests. 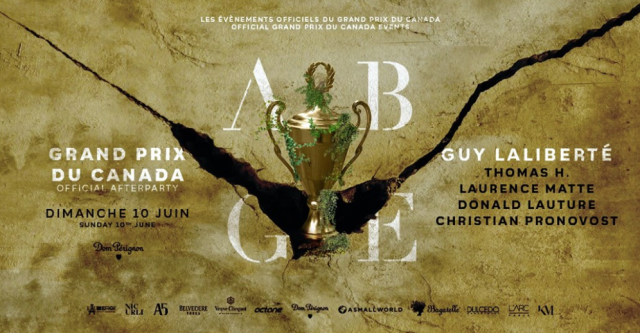 Christian Pronovost, Thomas H, Laurent Matte, Donald L’Auture, and none other than Guy Laliberté will grace the decks. 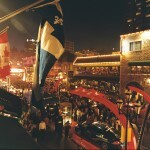 The Auberge celebrates its 330th year of history in its place as an incontestable epicentre of Montreal action. 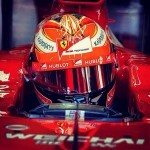 A first-rate VIP event where Formula 1 drivers and celebs gather to party the night away: one last time. Reservations: 438-985-2156, grandprix@aubergesaint-gabriel.com.